It’s been stormy out there…..
Two clients had roof leaks last week and I’ve noticed several blue tarps on roofs thanks to all the recent storms lately. That inspired me to remind all of you to be sure to check your roof for leaks. Mother Nature can be VERY powerful. 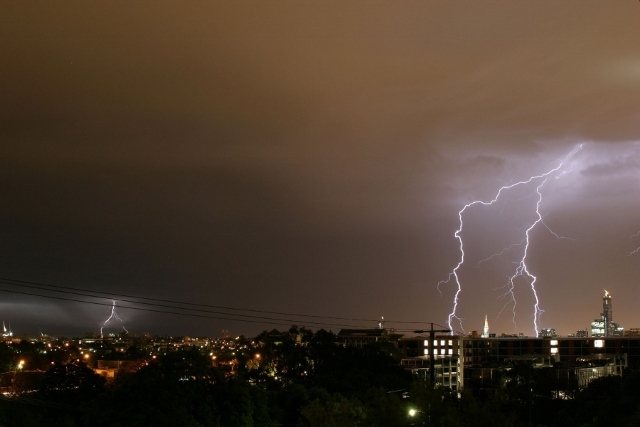 Wind, hail and falling debris can puncture roofs or lift shingles that may not be visible from the ground. The best way to check for possible leaks is to climb into your attic after a storm. Be sure to examine all the cracks and crevices, especially at points in the roof, valleys where roof lines meet and near the edges along the gutters. BTW, clogged gutters are one of the most common sources of roof leaks. If venturing into the attic isn’t your forte’ at least check for spots/leaks on the interior ceilings in every room, and don’t forget to check the closets. If you see minor leaks you may want to have your roof evaluated by a qualified roofer prior to calling your insurance company. Should an evaluation reveal you need minor repairs considering paying for them yourself, if possible, instead of making a claim on your homeowner’s insurance. It will save you money in insurance premiums in the future. Conversely, if you see significant damage don’t hesitate to call your insurance company. That’s why you have hazard insurance. Here’s a perfect example; last year my house was pelted by hail for at least 20 or 30 minutes. The hail accumulation looked like a snow bank on my deck and driveway. The house had just been painted about 1 ½ years prior. The hail hit so hard it caused the paint to chip right down to the wood on window sills. The gutters were full of shingle gravel. Attending lots of home inspections and dating a contractor taught me a lot about construction. I knew these were not good signs so I made the call to my insurance company. Despite the roof being less than two years old and maxed out with moisture barrier in the valleys, flashing everywhere and drip edge, there was enough damage for the roof to be replaced. Had I not called my insurance company I would not have realized my roof had been compromised that badly and would be chasing roof leaks and ceiling stains all over the house. If your roof needs to be replaced I’ll gladly refer you to a qualified roofer for the job. Be sure to ask for leftover shingles to have on hand for minor repairs that may arise in the coming years. That way the shingles will match. Do you know Mr. and Mrs. Downsizer? They were the real couple with a fictional name that I introduced in last week’s post. Because their home was priced right and showed beautifully, they received competing offers when they were ready to sell. You can be in that position too. Know your competition, not just in your neighborhood but in the surrounding area. Spend time with your realtor going through current listing prices and visiting the properties associated with each. 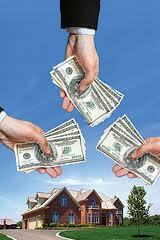 This will open your eyes to what your rivals are doing and help you price your home competitively. Let go of what you paid for your house. What you want, what your neighbors think, or what your friends have told you doesn’t matter when it comes to pricing your home. Having a lot of equity in your property doesn’t matter either. What matters is what the market will bear, what buyers will pay. Average sales prices are going up, but we are still recovering from 5 years worth of foreclosures on the market, so instead of worrying about asking too low of a price on your house, think about the financial gains you’ll achieve in buying your next home. Consider getting an appraisal if you’re really having a problem deciding on a listing price. This is so important that I am always happy to split the cost of an appraisal with my sellers at closing. Remember, if you price your home correctly, you could end up with competing offers like the Downsizers did. Next week, I’ll give you the secrets for making your home show well. Want a House? Then Don’t Come Late to the Dance. Buying and selling real estate in the Atlanta market is like spinning on the teacup ride at Disney World. The heavy competition for good listings that are priced right and show well drives that point home (no pun intended). Just take a look at what happened last week. 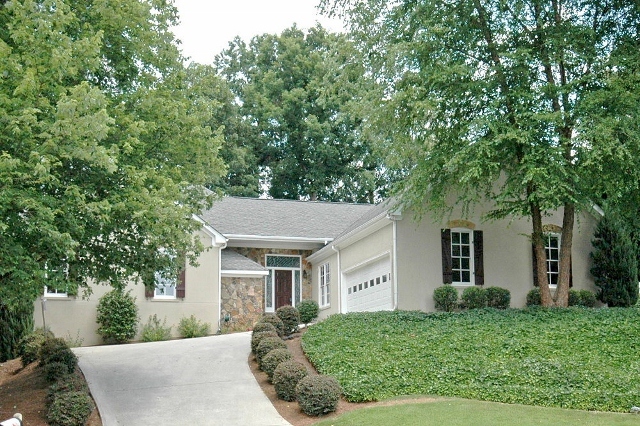 I had listed a home in a good school district in East Cobb on Wednesday. The owners, Mr. and Mrs. Downsizer, had done an amazing job of maintaining and updating their residence. The kitchen and bath were to die for, and as the old adage goes, “Kitchens and baths sell,” but that’s another story for another blog post. On Friday, we had back-to-back showings; the two groups of buyers literally passed each other in the driveway. On Saturday morning, as I was heading out for a listing appointment, an offer came in from an agent representing a Mr. and Mrs. Bidfirst. While driving back from the listing appointment, another agent called saying an offer from Mr. and Mrs. Seco was on the way. 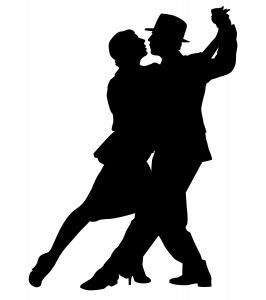 In real estate, you can only bring one partner to the dance. We chose our partner, the Bidfirst couple—since we already had a firm offer from them—and made a counteroffer with a deadline to accept by Sunday at 9pm. By Saturday evening, the agent for the Secos called again, this time with a verbal full-price offer. I told her I would present it to the sellers after she put it in writing with proof of funds. That written offer from the Secos arrived Sunday at the same time as a counteroffer from the Bidfirsts and just as I was on my way to an open house at the Downsizers’ home. Yes, even though their home had an offer on it, I was still marketing it since nothing was a done deal yet. Besides, the open house had been advertised online and signs had been posted days earlier. Lo and behold, both potential buyers showed up at the open house at the same time. A problem, yes, but a great problem nonetheless. The two couples were greeting each other with a chilly reception when the Bidfirsts’ agent showed up and saw what was going on. Not wanting her clients to lose out on the home, she immediately pulled their counteroffer and accepted the counteroffer we had made on Saturday. Were the Secos disappointed? Absolutely, but if you snooze, you lose. For buyers: Don’t play around. If you see a listing you like and it’s priced right, call your Realtor® and make the cleanest, best offer as fast as you can. Don’t piddle around with minutiae or you could lose the house. For sellers: If you get your home in perfect selling condition and price it right, it will sell…and you may even be rewarded with competitive offers like the Downsizers got. Rally for Rick Loose – People. Purpose. Passion. A treasured member of our Keller Williams Family, Rick Loose, has been diagnosed with end-stage liver disease. After many months of uncertainty, batteries of tests, navigating the bureaucracies of the healthcare and insurance industries it has been determined that the best solution is a Liver Transplant. Of course, that is extraordinarily expensive and insurance barely begins to cover those costs. Here’s what we are doing to help the Loose family raise desperately needed funds. Family, friends, and colleagues have teamed up with Helping Hands Ministries (501c3) to host a “fun”raiser for Rick on Thursday, July 26th at Tongue and Groove for the Rally for Rick Loose! Spread the word! Raise awareness for liver disease and transplant donation. Buy a ticket, listen to Yacht Rock Revue, eat, drink and have fun while participating in a worthwhile cause. Bid on some remarkable items at the Silent Auction. The goodies you purchase above the item’s declared value are tax deductible, as allowable by law! Thursday, July 26, 2012; 5:00 to 9:00 p.m.
Just Listed in Dunwoody!!! Open House this Sunday 2:00-5:00!!! Great Location – In the TRUE HEART OF DUNWOODY! 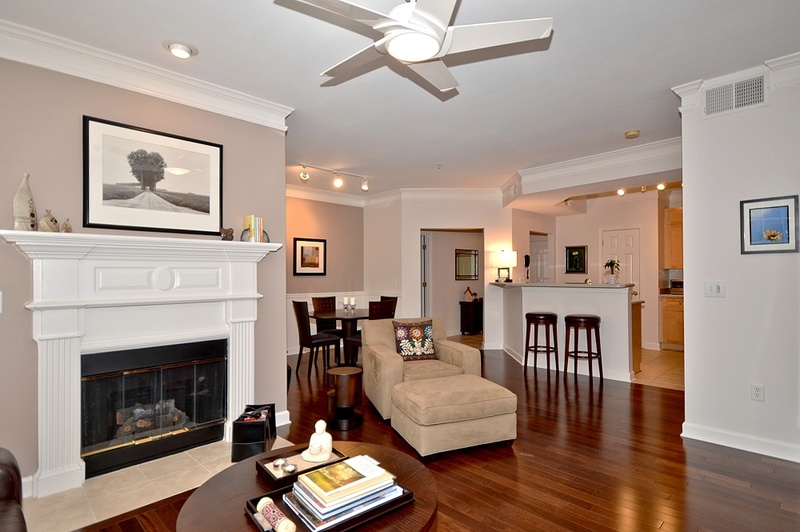 Walk to local restaurants, grocery stores, shopping, the office, Marta & more! 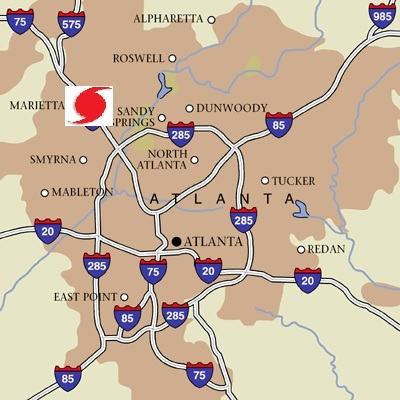 Minutes to Perimeter Mall, I-285 & GA400! 3 Bedroom Unit – A RARE find for this complex & area! All 3 spacious rooms w/large walk-in closets! Split bedroom plan for privacy! Hardwood Floors – throughout entire home! Beautiful Bathrooms – Both bathrooms have tile floors & showers, double vanities & linen closets. Elegant Master Bath has a garden tub. Kitchen – Maple Cabinets, Corian counters, tile backsplash & floor, stainless steel/under mount sink, crown molding, newer/stainless steel appliances, laundry room , breakfast bar & pantry. Open to Dining Room & Great Room! Great Room – Crown molding, marble fireplace w/gas logs, glass doors & automatic starter! Dining Room – Just off Kitchen w/crown molding, wainscoting & a French door to Balcony! Balcony – Bigger than most units w/extra storage! Very peaceful; overlooks the woods & stream! Secure Community – Gated property access, secure building & elevator entry/access. Amazing Amenities – Clubhouse, Salt water Pool, Fitness Center, Sprinkler System, Elevators, Prof. Landscaping & drive under Garage Parking! If you, or anyone you may know, are interested in viewing this home, just give me a call or send me an email! I’ll be holding an OPEN HOUSE here this SUNDAY from 2:00-5:00. Come by and take a look! UNDER CONTRACT IN ONLY 4 DAYS! Just like the real Hurricane Debby hit Florida, this Hurricane Debby is hitting North Georgia real estate. Debby does it again….The new listing that was emailed to you last week is already UNDER CONTRACT AFTER ONLY 4 DAYS ON THE MARKET! And it’s a great story that involves 2 offers on the same day, both buyers showing up at the open house at the same time, under contract by the end of the open house and now a back up offer from a 3rd buyer. The take away for sellers is the HUGE pent up demand for good listings that show well and are priced right; which is an extremely refreshing change from the past few years. Inventory levels have shifted to a seller’s market in many areas and price ranges for those good listings! This unusual situation presents an amazing opportunity to sell a home, capture a deal with unbelievably cheap $ while other sellers are still sitting on the fence. Buyers now need to ACT FAST and be prepared to compete with other buyers for those hot new listings. As soon as a new listing that meets your needs pops up call your Realtor®, hopefully me, to schedule a showing. And if you like it, submit an offer immediately! Buyers no longer have the luxury of waiting. If they do the home will be scooped up by another buyer. As a matter of fact, timing is so crucial in this market we’re setting up automated searches for our active buyers to send new listings to our buyers as soon as they come on the market. Wondering how you can sell your house in only 4 days? Wondering how to beat other buyers to those hot new listings? Contact me NOW to find out. Look forward to hearing from you soon to help you take advantage of the opportunities presented in the current market!